in avoidance of the perfunctory: Halloween, its so different here. Halloween, its so different here. I think one of the hardest things to do is go into a completely foreign culture (whether that is in your own home country or in a different one) and accept all aspects of that new place. I am not saying that we should adopt all of the values, behaviors and aspects of the new culture that you are in, especially if they aren't biblical. But sometimes it is hard to wrap your head around why people don't act like you, value the same things you do, etc. It really makes you take a good look as to why you believe the things you do, why you act the way you do, why you value certain things over others. So much of our own culture isn't directly taught but it is what we observe the people closest to us doing and it is what we subconsciously adopt. Anyways, I was thinking about it this morning when I was sad that I am not free to buy a whole bunch of pumpkins, have the youth over, and carve them. How we can not have a costume party. How Halloween is not the innocent thing it is in the United States (I know, a lot of Christians do not support or participate in Halloween in the states--- instead they call it Fall Festival). Here in Mexico, Halloween or Day of the dead- which are basically the sameish thing- is very different than anything I experienced before coming to Mexico. In the United States we are free to have a party with pumpkins, fall themed activities, drink hot apple cider, have a costume contest, watch non realistic scary movies and go to haunted houses. 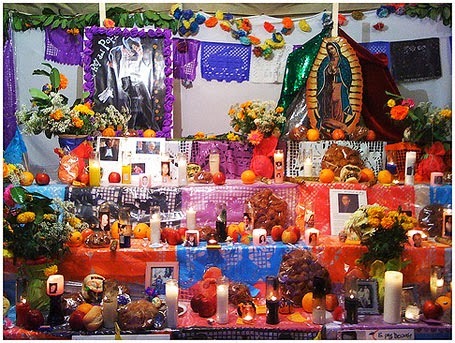 Here in Mexico, people set up a table either inside of their house or right outside, cook a whole bunch of food, and hope that the spirits of their dead relatives will come back and be pleased with their offerings... they also do that to the grave sites... You may chuckle at that, but it isn't the fun innocent thing that your Spanish class taught you about. It is sad, creepy and disturbing. I wrote this blog last year about Day of the Dead, take a look. 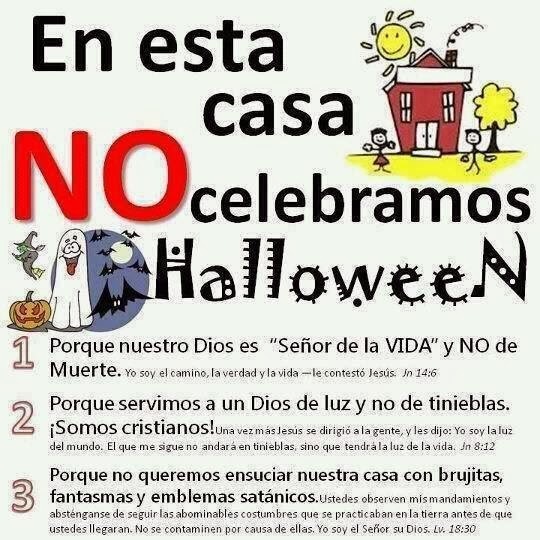 So, it completely makes sense why Christians in Mexico do NOT support any part of Day of the Dead or Halloween. Of course, I still wish I could do the fall fun stuff that I grew up with, with the innocence that I use to think that accompanies it all. But, I can't and I understand why. Please pray for Mexico this week as alters to the dead are going up, as people celebrate and worship the dead. Friday we hand out candy and have a time of evangelism followed by a kids "Celebrate Life" party (instead of celebrating death). You can pray for all that too, we would be grateful! Also, Rod wrote this blog about Halloween--- it's in spanish.